I'm having a sale in my eBay store. 10% off almost everything. You can some great products at a good price plus free shipping if you live in the USA and your order totals $35 or more. I send great free samples with each purchase to boot. I am an eBay Power Seller with 100% feedback so you know you'll be satisfied! At left, is one of the great lip balms I carry. 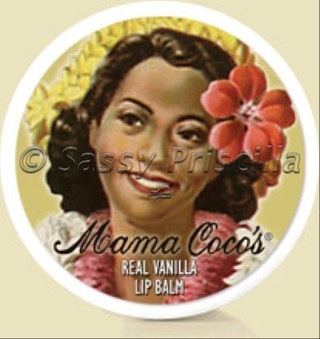 In addition to Mama Coco's, I also carry Ganache for Lips, Rosebud Salve, Perfumeria Gal, Agatha Ruiz, Get Fresh Spa, Herbacin lotion, Egyptian Magic healing creme, Grandpa's Pine Tar Soap, and more. If you place an order this weekend, mention that you saw this blurb on my blog when you pay and I will put in something special with your order.